What is a QOM Training Gym? A QOM Training Gym is not aimed at traditional aerobic exercise and muscle training benefits. Instead, it uses a method called “cognitive motion training” developed by Professor Emeritus Kobayashi of the University of Tokyo. It aims to improve quality of motion, effectively use trunk inner muscles, stimulate the brain, etc. This type of sports gym can be used by people of a wide range of ages. By steadily using one more machine according to the purpose, anyone can train without difficulty. QOM training gyms use unique cognitive motion training machines developed by Professor Kobayashi. 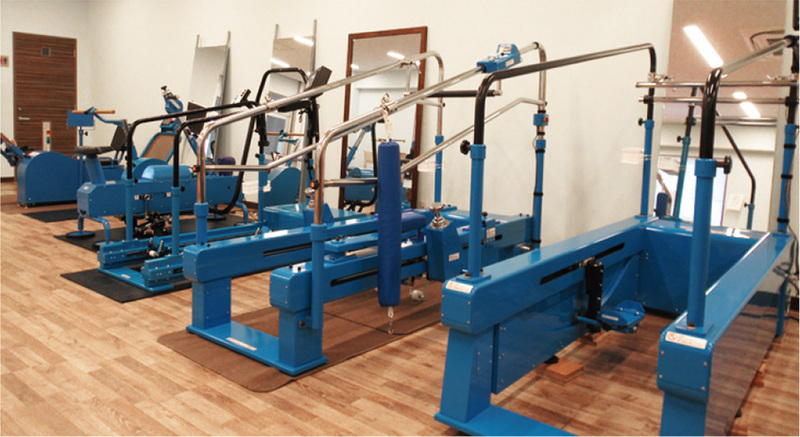 Ohtake Root Kogyo uses its knowledge and experience from many years of manufacturing, for contract production of original machines used at these gyms. The Sprint Training Machine improves running/walking motions. 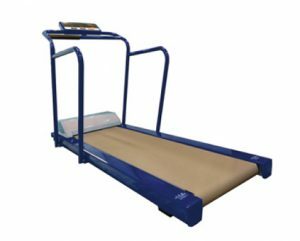 The Sliding Feet Motion Training Machine trains without difficulty in knee-waist same-side motions, which are basic motions. 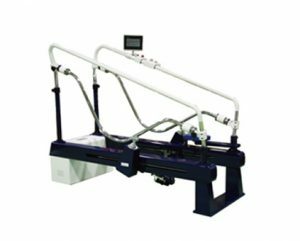 These and other QOM Master machines have unique designs different from ordinary training machines, but Ohtake Root Kogyo produces everything in house from materials procurement to parts, so we can respond to various needs. Ohtake Root Kogyo manufactures and sells original QOM Master brand machines, with no minimum quantity required. QOM theory is the basis for development of cognitive motion training machines used in QOM training gyms. QOM is Quality Of Motion, which means the quality of physical actions and motions in sports and everyday life. QOM theory is for cognitive motion training to pursue rational and correct use of the body and train in high quality motion. 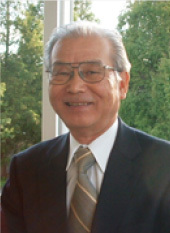 QOM theory is advocated by Professor Kobayashi, developer of QOM training gyms. The QOM THEORY mark backed by this theory is a visual proof of reliability. Professor Kobayashi did research on improving quality of motion and physical fitness, for people ranging from professional athletes to elderly with low physical fitness, and established Quality Of Motion training (QOM). He advocates QOM theory, developed QOM training machines, and founded QOM training gyms. He was awarded the 16th Chichibu Memorial Sports Medicine and Science Awards Achievement Award, and many other awards.